Sen. Kamala Harris, D-Calif., speaks to members of the media at her alma mater, Howard University, Monday, Jan. 21, 2019 in Washington, following her announcement earlier in the morning that she will run for president. The accounts were created recently and had few followers. But they posted easily shareable content about the senator's record as a prosecutor that earned an outsized audience on the platform. The video was unearthed recently by the independent journalist Walker Bragman and covered by national news outlets. Fox News included a tweet from @WillisJermane in its report of the video and noted that the account had been suspended. 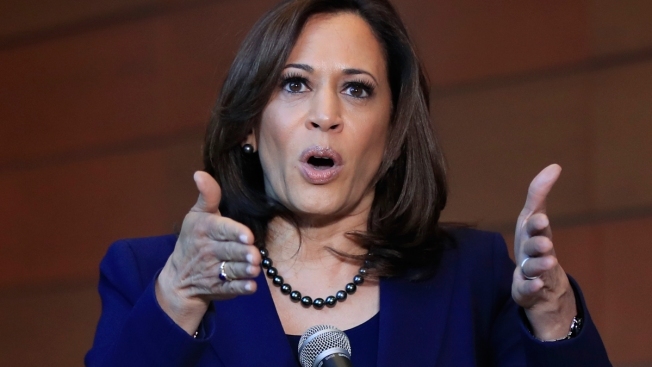 A spokesperson for Harris' campaign did not respond to a request for comment.